Arlo is not a fan of having his teeth brushed, so something to make life a little easier when the dreaded tooth brushing time comes around is definitely something I was interested in! 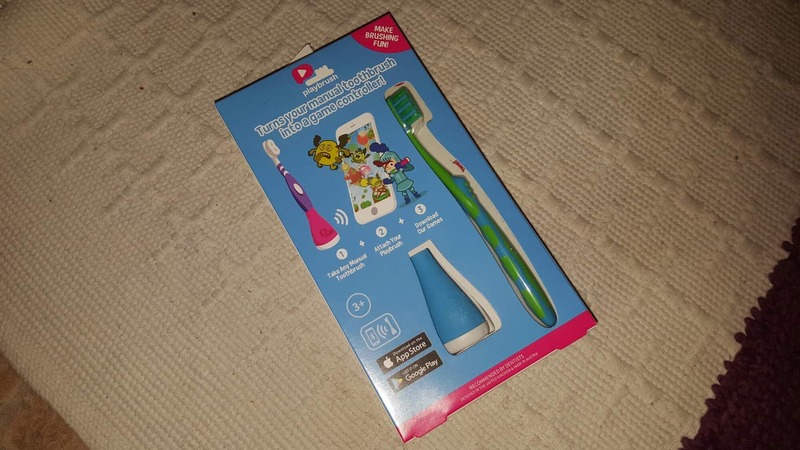 Playbrush is a clever little device that turns any manual toothbrush into a game that you can play on your phone or tablet. Available on both android and apple you download the free app (there are four to choose from) and then connect the little rubber decide to the bottom of your toothbrush. Then connecting it to bluetooth you can play the game depending on where in your mouth you brush! Each game lasts two minutes and you do it twice a day. As well as beating monsters/flying planes/ colouring pictures it gives you stats on your toothbrushing performance! Arlo had seven teeth removed a week ago, they had suffered from hypo-calcification and had basically chipped away to nothing, thankfully all the teeth that arrived after his first 7 are all fine but he still didn’t like having them brushed probably because he associated it with the pain of the sore ones. We still have to make sure the bare gums are brushed now that they are healing so making brushing into a game means he is far more likely to want to let us near him with a brush! The little disk on the base of the holder removes and can be charged with a mini usb charger (helpfully the same one my Samsung phone uses) and then this fits into the holder, you put your toothbrush in the top and away you go! Athena can even get in on the action as it’s simple to remove the brush and swap it and the games let you choose who is playing. 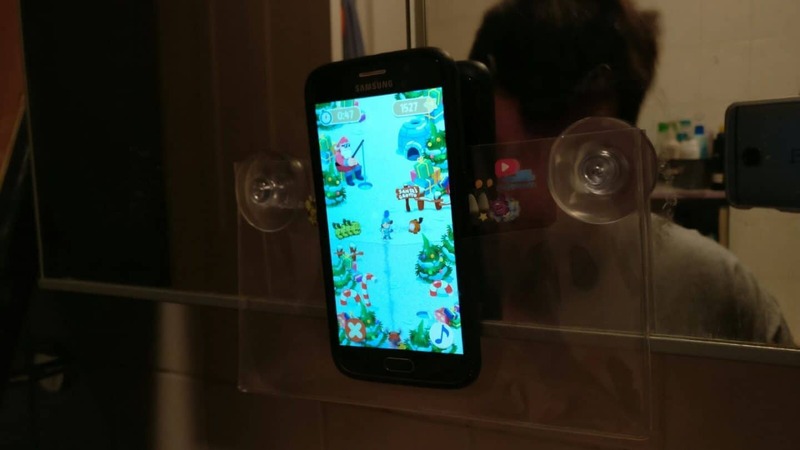 To keep your phone safe whilst playing there is a little clear pocket with two suction pads so you can attach it to the mirror where you brush your teeth, I thought that was really clever! You can use any brand of manual toothbrush too, although it comes with a Signal brush in the box, and you can buy a years toothbrush subscription on the site. A full charge should last between 3 and 4 weeks. I think the only thing that could be improved is to make a larger one that would attach to a kids battery operated toothbrush, as this is what Athena has been using since she turned three. She’s happy to use a manual one for the game though! You can purchase Playbrush via their website and from amazon. After we had played a few games a pop up on screen asked me for my email address to get an extended 5 year warranty, which I thought was decent! We were sent a playbrush to review, all words and opinions are my own. This is a fab invention! I think Father Christmas will bring one of those into our house. F is quite independent now but that in itself presents the problem that he doesn’t do it as thoroughly as I would. This could me my solution! Thanks for the review. 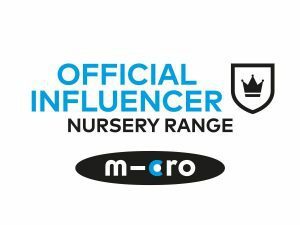 Hello, I would like to share our new innovative product that would surely help both parents and children. Our mission is to improve the dental health of children worldwide, so we’ve invented Brushies. 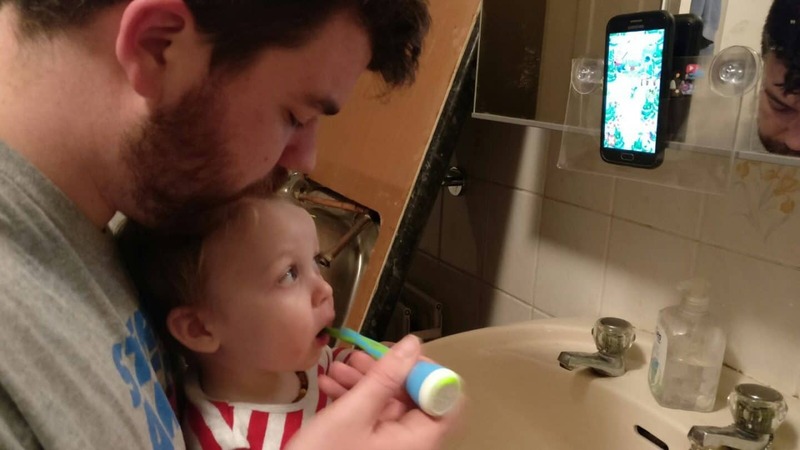 Brushies is an app-based toy which makes brushing your teeth fun. It’s specially designed for children (although there’s nothing stopping grownups playing!) and the aim is to get kids brushing better for longer. We’ve built a toy called Pearly which motivates kids to brush their teeth and to have fun while doing it. Now we want to take it step further to teach them to brush even better. We need your help for this, and as a reward, we are offering to send you our current Pearly right away, as well as our next generation Pearly when we build her. Please share our Brushies campaign with your friends and family. Let them know there’s a toy which can make brushtime more fun. Check out Brushies at http://www.mybrushies.com/ and be amazed of what it can actually do to help your kids become excited to brush!